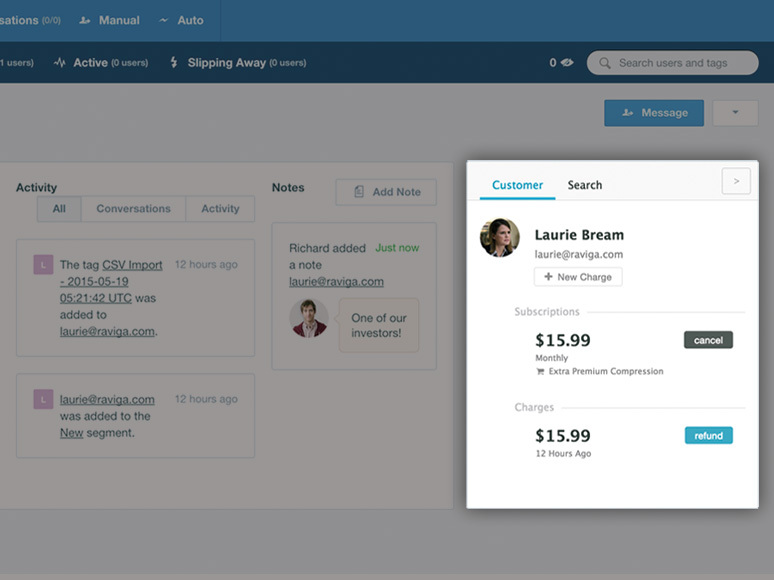 Manage your NMI customers & payments inside Intercom. 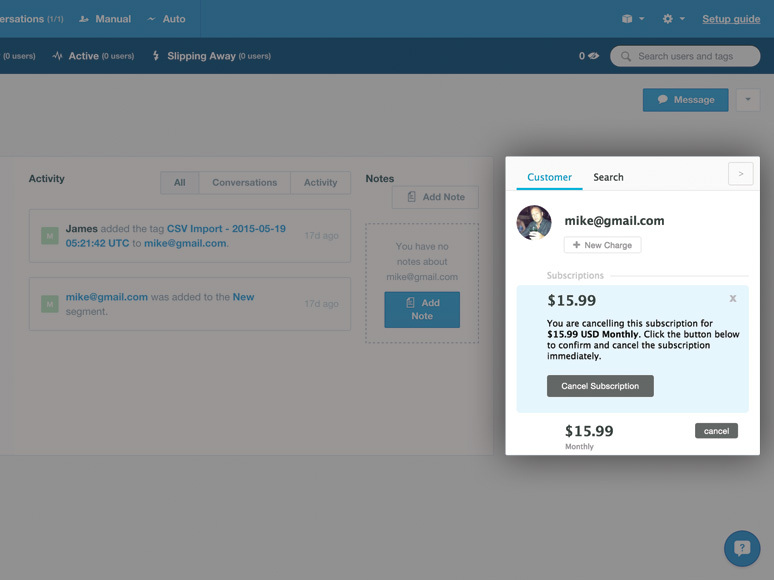 You can manage your customers inside Intercom using the ChargeDesk Chrome extension. 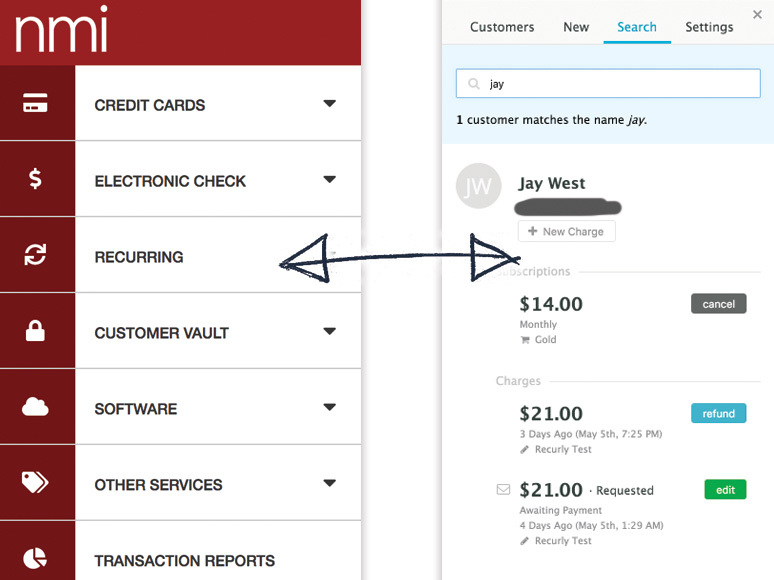 ChargeDesk uses a unique algorithm to find all of the NMI charges & customers related to any ticket you receive inside Intercom. Where direct matches can not be found, related charges are also be displayed in case the customer is using a different email address or name. 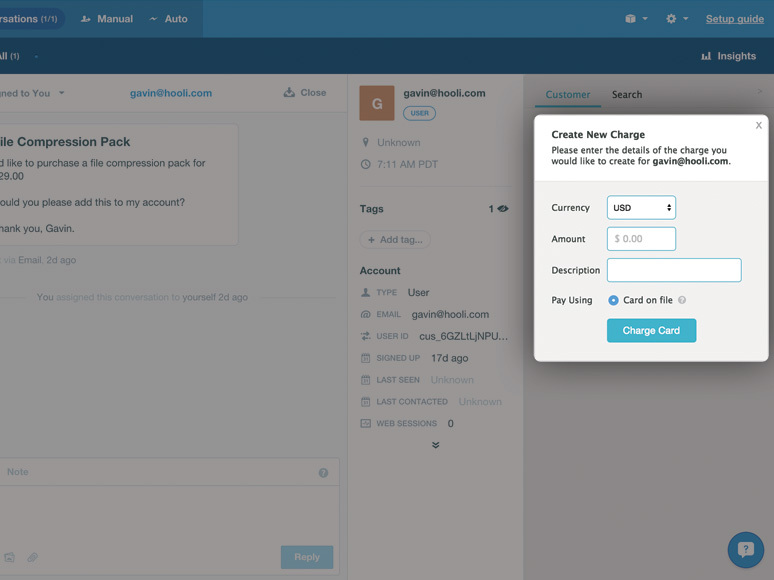 You can use ChargeDesk to create new charges on cards on file for your customers inside Intercom. This will be processed immediately on your payment gateway and you can download a tax invoice to send as a record to a customer. With ChargeDesk you can connect multiple payment gateways to the one account. This means that if you have, say, customers in both Stripe and PayPal, you can manage them all inside Intercom. This happens transparently, so you can refund charges, manage subscriptions or create new charges for customers without needing to know which gateway they are supported through. 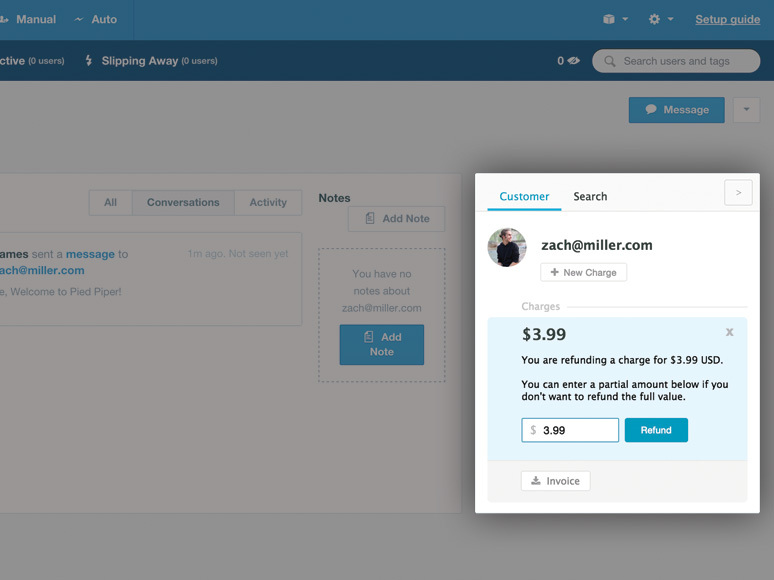 With the ChargeDesk application you can refund any charge right inside Intercom. Partial and full refunds are supported. Refunds a processed immediately and you will receive feedback on their success. Once a charge is refunded it will show as such inside Intercom. Any active subscription will have a button that allows you to cancel it immediately inside Intercom. Customer and subscription details update in real time so you are never working with stale or out-of-date information. ChargeDesk automatically detects many popular helpdesks and will contextually display information about the user or ticket you are viewing. You'll be able to refund charges, cancel subscriptions and create new charges for a customer right inside your helpdesk. Connect Intercom and NMI Supported Features for NMI Ask us Anything! You can sign up with either Network Merchants or Intercom first. You will be prompted to connect the other provider once the first is connected.